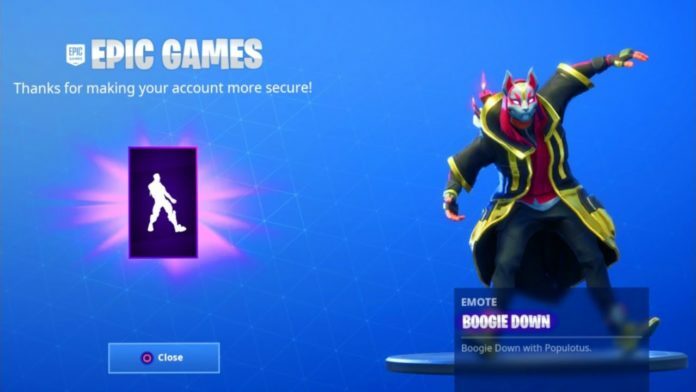 It is high times that like any other thing you keep your Fortnite account also secure by following simple steps. This piece of information is more important than getting Victory Royales on Fortnite. You must add two-factor authentication to the Epic Games account that you have. It is very simple to do and takes just few steps to do it. In this article we will highlight the steps to add two-factor authentication to epic games account for fortnite. Two-factor authentication is basically a security system requiring two levels of authentication to log into your account. Level one is ideally your password for which you must go in for keeping a strong password. However, a strong password in no case implies that the safety is foolproof. Anyone who rightly cracks you pass code will rightfully get an access to your account. However, this is not the case with two-factor authentication. In such a case any intruder will be required need a secondary to have an access to your account. This secondary here is the separate form of authentication to get access to your account. Here, this secondary factor in most of the cases is a type of security code that is sent to your email address or your phone. However, it can also be something high that you plug into the computer. Many of us might also be using it but might not be aware about the same. Whether to enable two-factor authentication on your Fortnite account or not might be a debatable issue for you. However, we suggest that you must. Even if there is no one who can breach your privacy, you must still go in for this. It is so because prevention is better than cure, especially in this era of crime where phishing scams are common. Enabling two-factor authentication implies that you are making sure that no one can intrude your account without your permission. You might be thinking that there is no harm in case someone gets an access to your Fortnite account. However, deep down it can really be a great threat. Out of all the threats that you are exposed to in case someone gets an illegal access to your account, the most preponderant one is the money that you have spent on the game. In such a scenario with hijacking your account the intruder also gets your billing information. This information includes your name, address, and last four important digits of your credit card number. This information might not be enough to commit the credit card fraud but can always be successfully as a trick. It is not only your information that is at risk but your information can also result in identity theft that might lead you to potential dangers. Having known all the threats and dangers that you can get exposed to, we now guess that you are ready for this two-factor authentication. Here are the simple steps that you need to follow to do the same. firstly you need to go to the Epic Games website and then sign in. on the upper-right corner of your username you need to click on Account. click Password & Security on the left menu that appears. Now Scroll down to the Account Security section. Here you need to click on Enable Two-Factor Sign In. with this last step the process is over. All in all, these are the Steps To Add Two-Factor Authentication To Epic Games Account For Fortnite. As a default action, the Epic Games will make use of the email address that you verify or use to sign up. When you will try to log into the account on any device that is new or even after say 30 days of inactivity, you will get a code on that email address. You will need this code to complete the action. All this implies that you can stay worry free as there is no chance for anyone to breach your privacy.